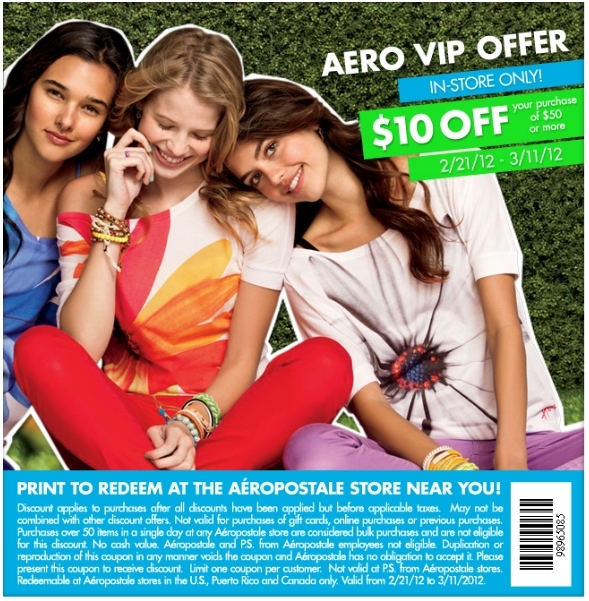 If you’re planning to do shopping this weekend, make sure to print this coupon for $10 off $50 Purchase at Aeroposotle before you head out. This coupon is good in-store only & expires on Saturday, 3/11. Find more printable coupons and Clothing Deals on Faithful Provisions. Coupons a mystery? Sales elude you? Fear not! Saving Savvy helps you cut costs like a pro.